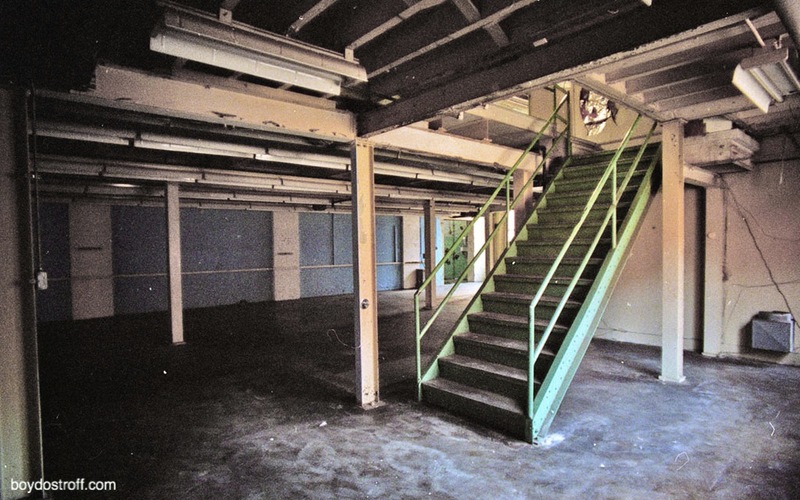 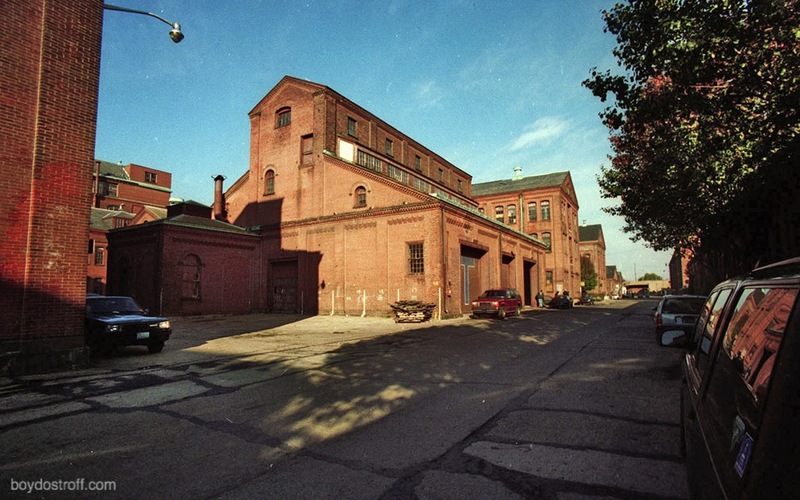 These pictures of the Production Center at Frankford Arsenal were taken in November 1995, shortly before the Opera Company moved in. 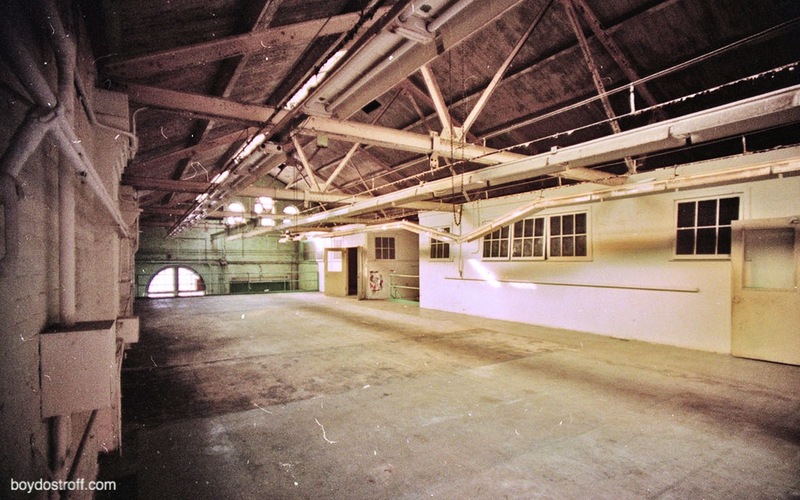 In January 1996 the first scenery was built at the Arsenal Production Center, designer Allen Moyer’s minimalist Cosi Fan Tutte. 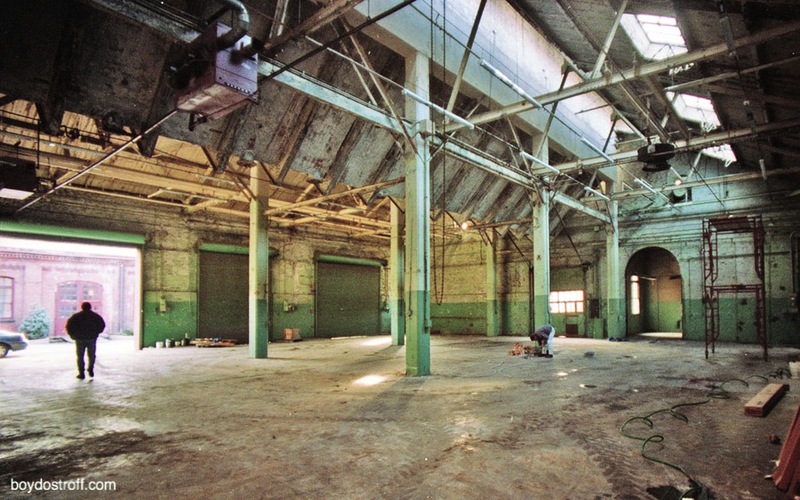 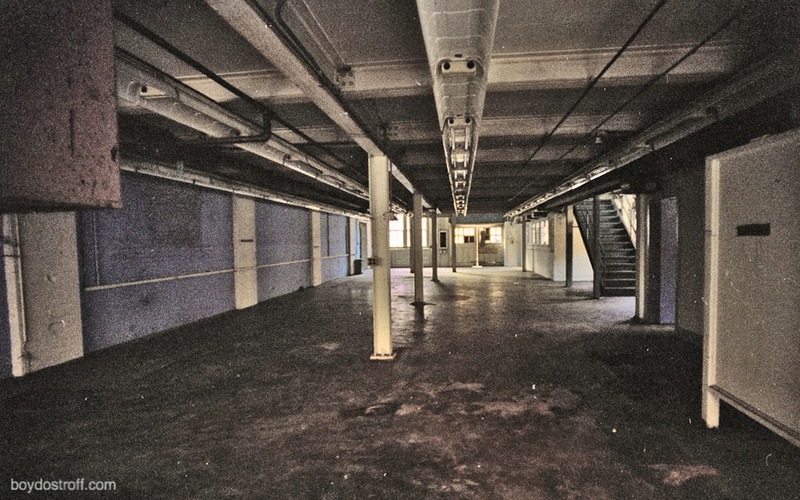 But Lucia Di Lammermoor was the first full-scale opera built at the Arsenal Production Center, with construction taking place during the summer of 1996.